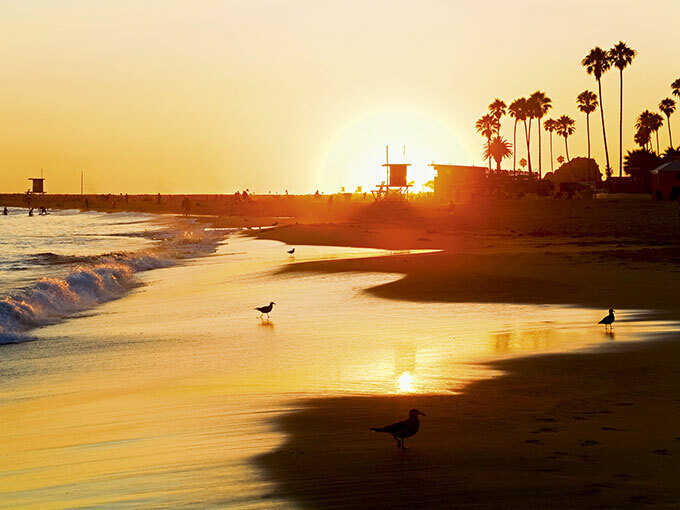 The ‘Golden State’ of California is world-renowned for its stunning beaches, unique cities and world-class vineyards. Its diverse landscapes, culture and year-round sunny climate make it the most popular destination for tourists in the US, and, with exceptionally high standards of healthcare and an above-average life expectancy, its residents enjoy a quality of life that is among the nation’s best. But it’s not just quality of life that sends people flocking to the state. California is also home to the nation’s biggest, wealthiest and most diverse economy, accounting for 13 percent of total US GDP, according to the Department of Finance – which ranks it as the ninth-largest economy in the world when compared to entire countries. The state now comes first in the US for attracting foreign direct investment and it is proud of having the highest rate of retaining skilled foreign workers in the whole country. California is also home to the highest number of Forbes 500 companies in the US, counting over 50 among its hoard. But the sunny state is also a prime destination of choice for 3.5 million smaller businesses, which together account for 52 percent of the working population, according to the US Small Business Administration. Ever since Hewlett-Packard and Intel launched their operations in San Francisco and laid the groundwork for Silicon Valley, California has been the go-to for the world’s most ambitious entrepreneurs. Three of its cities are in Bloomberg’s Top 10 Cities for Startups. Home to the tech giants of the world, the state accounted for 50 percent of all venture capital funding received in the US in 2011, according to the Ernst and Young Venture Capital Report. And obtaining funding does indeed seem to be something in which California excels: in CNBC’s America’s Top States for Business, it took the number one spot in the US for Access to Capital for three years running. But it’s not just in the field of technology that California shines; it also leads the US in terms of manufacturing, and lays claim to the largest consumer markets for biotechnology (the second largest employer), entertainment, apparel, food and agriculture. That diversity makes the Golden State unique, offering enticing opportunities for an array of businesses and investors. California’s success in such a variety of fields is little surprise given the number of incentives in place to support foreign investors and companies, implemented under the Governor’s Office of Business and Economic Development. They include the California Competes tax credit for companies considering relocating to California, and the California Capital Access Program, which helps small businesses unable to get conventional funding obtain loans from banks and other institutions. Further helping California to stand out as a world leader is its strategic location as the nation’s gateway to the Pacific Rim and the rest of the world. It’s extremely well connected, with state-of-the-art infrastructure including over 15,000 miles of highways and freeways, 12 cargo airports, 11 cargo seaports (putting it first in the US once again), and 25 freight railroads, which cover more than 5,000 miles of track. The state’s ports are, meanwhile, among the most-used in the US, with those in Los Angeles, Long Beach and Oakland ranking among the nation’s top 10 according to the State of California Business Investment Guide. Those connections make the state a world export leader. This combination of assets is helping California become one of the world’s most attractive places for investment. Its infrastructure, business incentives and diverse array of industries are putting it on the map as the ideal destination for those looking to make their fortune. It’s reminiscent of the 1848 Gold Rush that set the state soaring over 150 years ago – and it doesn’t appear to be slowing down any time soon.